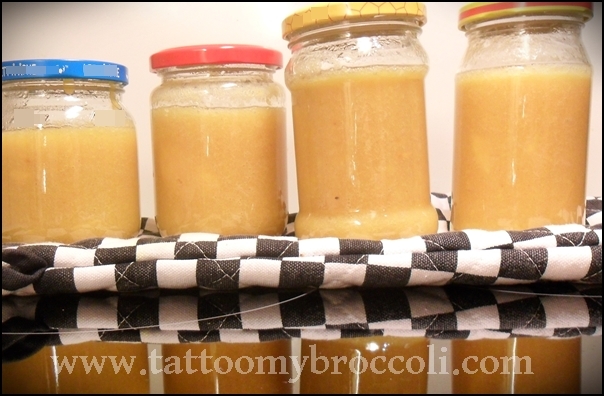 Persimon Jam – no special canning equipment needed! During the winter not many fruit are in season but it is the season for persimon all the way from November through February so it’s a good idea to have some of that delicious fruit. One thing you can do with it is jam. Who doesn’t like some nice and exotic jam, after all? I can see all over the internet that there are two spellings and both seem to be used interchangeably: persimon and persimmon. 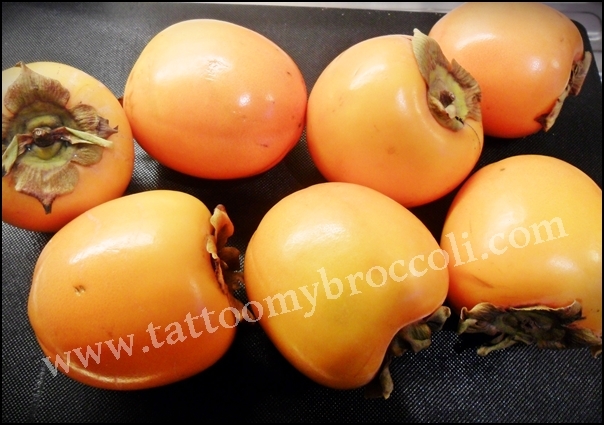 There are also two varieties of the fruit: fuyu and hachiya , I am using the hachiya, which is a little bit more elongated than the fuyu and also quite sour if not fully ripe. I haven’t tried making jam with the fuyu but I imagine it would work pretty much the same way. For this recipe you need to start with 1kg (in this case 7 of them) of fruit. After peeling and coring them I ended up with 900g of usable fruit. 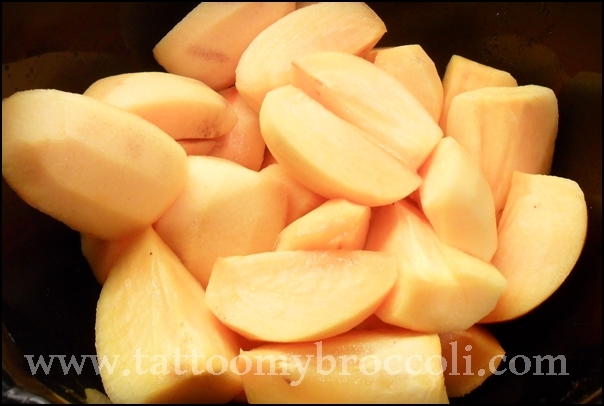 I peeled them with a vegetable peeler to minimize waste and cored them very much the same way I core apples. Cut them in 4 and then cut out the cores. Next I processed them into a pulp. I first tried a stick blender but that proved difficult, so I switched to a food processor and worked until I got a fluffy, light consistency. I made sure to stir a lot, because I could see the blended fruit could easily burn to the bottom of the pot. If this happens to your jam, don’t scrape but mix the rest of the jam and hopefully you’ll be able to use just the top part without the burnt mass in the bottom. You can also pour your fruit to another pan if that helps. In the meantime I preheated my oven to 100C/212F and put clean open jars in there for 10 minutes. I boiled some water in a kettle, placed the lids in a bowl and submerged them in hot water from the kettle. And at last comes the final part. I put on my kitchen mittens, took the hot jars out of the oven, spooned hot jam into them and immediately closed them with the hot lids. Within an hour all the lids were concave and the jars were sealed. This is the canning method that I use, very inexpensive and not requiring any special equipment. I keep my jams for 3 to 4 months and never had an issue. Once opened, I keep them in the fridge and use within 2 weeks. I am not sure how long these jams could keep like that because they are always gone quickly. If you have a pressure canner and want to use it, do it because at least you will have guaranteed results and you will be able to keep your jams for a very long time.